So, what’s up with a blog, you ask? Well, for starters, my name is Paula Marie, and I am an avid reader of Christian fiction. I am also quite passionate about promoting authors and their romantic, funny, powerful, emotional and first and foremost GODLY and FAITHFUL stories. I love being able to connect with readers and authors through Goodreads, Bookbub and Facebook Groups. I am hoping that Fiction Full of Faith will fuel that interaction to a much greater degree! My first few years in school all the teachers thought I had eyesight issues, but after much struggling and testing, we learned I was slightly dyslexic. I went through months of every Saturday morning being spent with a therapist, and finally, the written word had meaning for me! Amazingly I became an insatiable reader and have never stopped since! Though I have grown past the phase of Little House on the Prairie, and Charlotte’s Web to adult fiction in the Christian arena only, I am still a voracious reader, and never without new books to read. Being able to talk about these wonderful books with others who share the same joy and the amazing authors who write them is a lifelong dream of mine! So, what better avenue than a blog focused on nothing but a venue for in depth reviews, author interviews, and back ground stories to these books, and giveaways for fans! 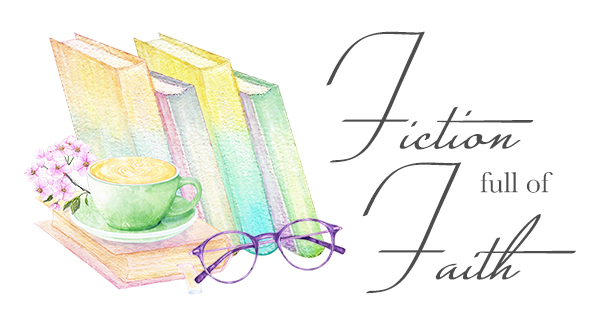 Launched in mid-2018, this book blog is an outpouring of my personal love for Christian fiction books, authors, and fellow book enthusiasts. I so enjoy getting to know others with the same enjoyment for these books, so please feel free to leave your own thoughts in the comments and participate in positive communications with the both myself and the author. On the personal side, I currently with my husband in North East Florida, but am originally a girl from New Jersey, and my husband is from Augusta Georgia (Go Dawgs!). When I can actually manage to put a book down, I enjoy indulging in favorite TV programs or a movie with the hubby. Oh, and football, College and Professional football is my other passion! If you ask my hubs, he’ll tell you I know more about football than most men! September 29, 2018 in Welcome - About Me!